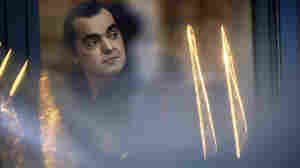 St. Germain St. Germain artist page: interviews, features and/or performances archived at NPR Music. October 7, 2015  Hosts Bob Boilen and Robin Hilton share a few of their favorite things, from the week's best new music. September 30, 2015  The bestselling French DJ and producer returns with his first album in 15 years, aided by the great guitarist Guimba Kouyate.